The Friendship Gate (R) and Torkham (L) are two of the Pakistan-Afghanistan border crossings where all-age polio vaccinations are carried out. 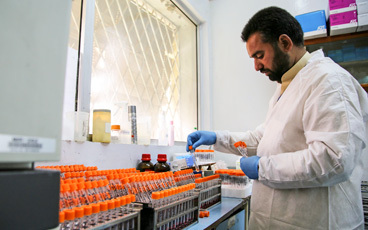 ©WHO/Pakistan. 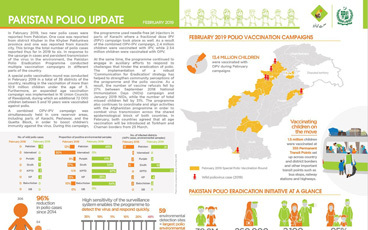 As a new tactic in their joint efforts to defeat poliovirus circulation, Afghanistan and Pakistan have introduced all-age polio vaccination for travellers crossing the international borders in efforts to increase general population immunity against polio and to help stop the cross-border transmission of poliovirus. 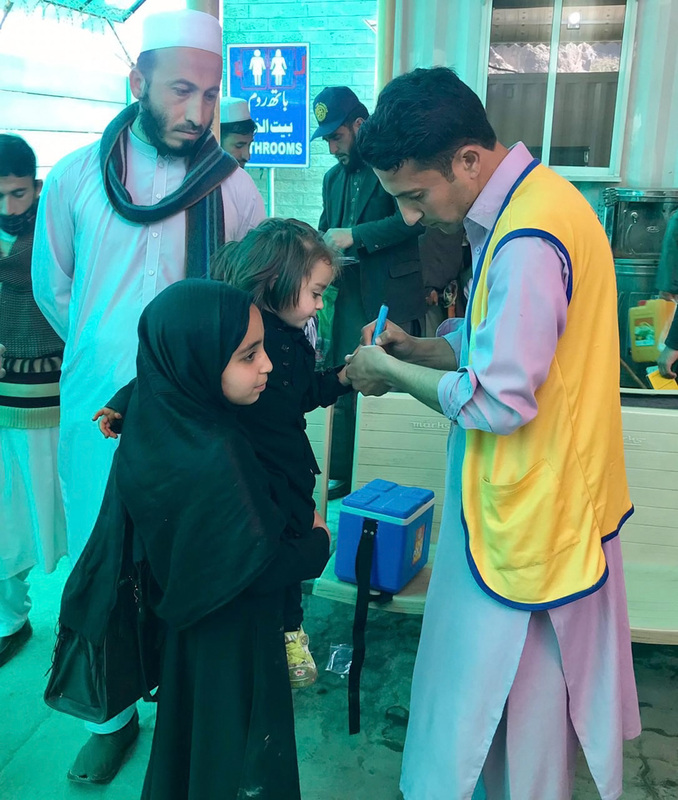 The official inauguration of the all-age vaccination effort took place on 25 March 2019 at the border crossings in Friendship Gate (Chaman-Spin Boldak) in the south, and in Torkham in the north. This is particularly important at the two main border crossing points – Friendship Gate and Torkham – given the extensive amount of daily movement. It is estimated that the Friendship Gate border alone receives a daily foot traffic of 30 000. Travellers include women and men of all ages, from children to the elderly. 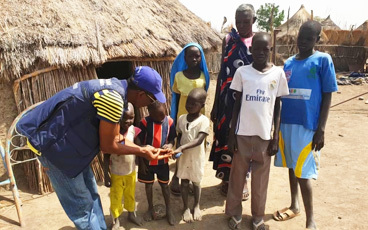 As part of the newly introduced all-age vaccination, all people above 10 years of age who are given OPV at the border are issued a special card as proof of vaccination. The card remains valid for one year and exempts regular crossers from receiving the vaccination again. 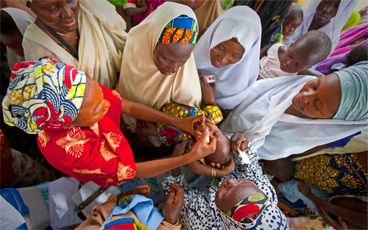 Children under 10 years of age will be vaccinated each time they cross the border. 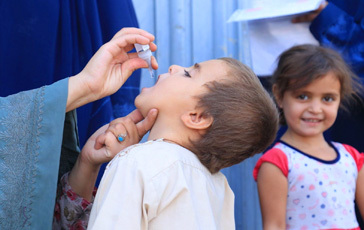 Before all-age vaccination began at Friendship Gate and Torkham, public officials held extensive communication outreach both sides of the border to publicize the expansion of vaccination activities from children under 10 to all ages. Radio messages were played in regional languages, and community engagement sessions sensitized people who regularly travel across the border. Banners and posters were displayed at prominent locations. 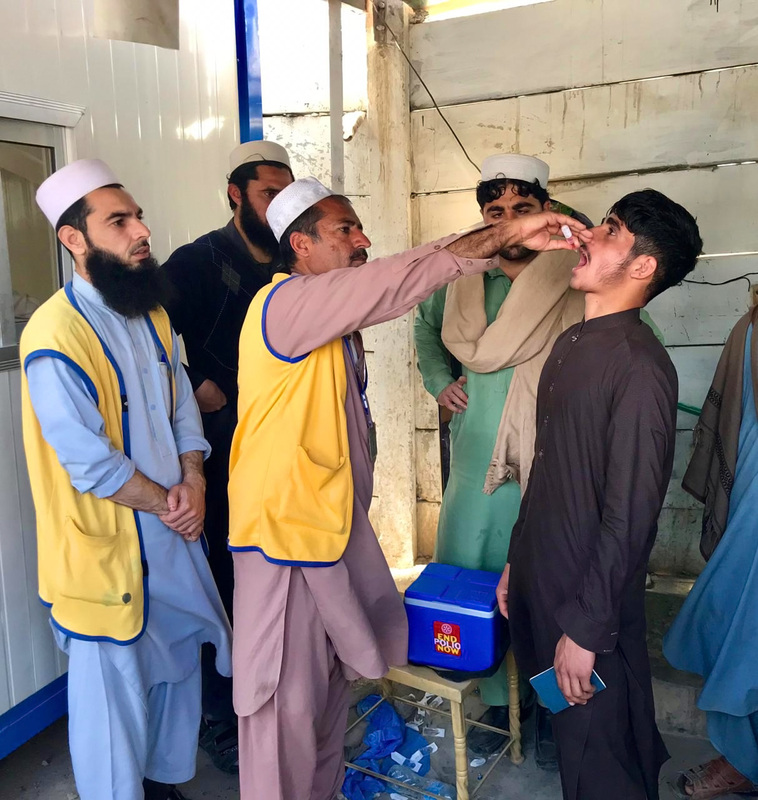 The introduction of the all-age vaccination at border crossings is the latest example of cross-border cooperation between Pakistan and Afghanistan. The two countries continue to work closely together to ensure synchronization of strategies, tools and activities on both sides of the border.